As a native New Englander, I came to Colorado to attend the University of Northern Colorado in Greeley, in 1977. On the first morning in Colorado my parents and I drove the hour, or so, to Estes Park. This town was my first full-day in the Centennial state. I met my future wife, JoAnne, in 1980 and we lived and worked in Greeley, Colorado, Grand Canyon, Arizona and Hyde Park, New York. We first moved to Estes Park in 1987 after I graduated from the Culinary Institute of America. We lived here for two years with our daughter Megan and then our son, Ryan, was born here in EP. I was the Exec at The Stanley Hotel and then CDC at L’Auberge in the Fawn Valley Inn. We moved to Boulder and I started The French Manner in 1988, which later became 12Seasons Personal Chef & Sommelier Services. My business lasted until 2013. In that time frame I also taught at The Art Institute of Colorado and at Johnson & Wales University, was Executive Chef for SUN MicroSystems, worked/staged under fourteen Michelin stars at The French Laundry (Yountvill, CA), Le Bernardin (NYC), Restaurant Daniel (NYC), WD-50 (NYC),Pujol (Mexico City) and D.O.M. (Sau Paulo, Brazil). I was Executive Chef for the Richard Sandoval Restaurant Group and opened restaurants in Scottsdale (Arizona), New York City, Mexico City, Punta Mita (Mexico), Laguna Nigel (California), & Santa Monica (California). I own Mise en Place Consulting, LLC and help my clients to improve their business condition. In all I have opened twenty-four restaurants and food outlets since 1998. 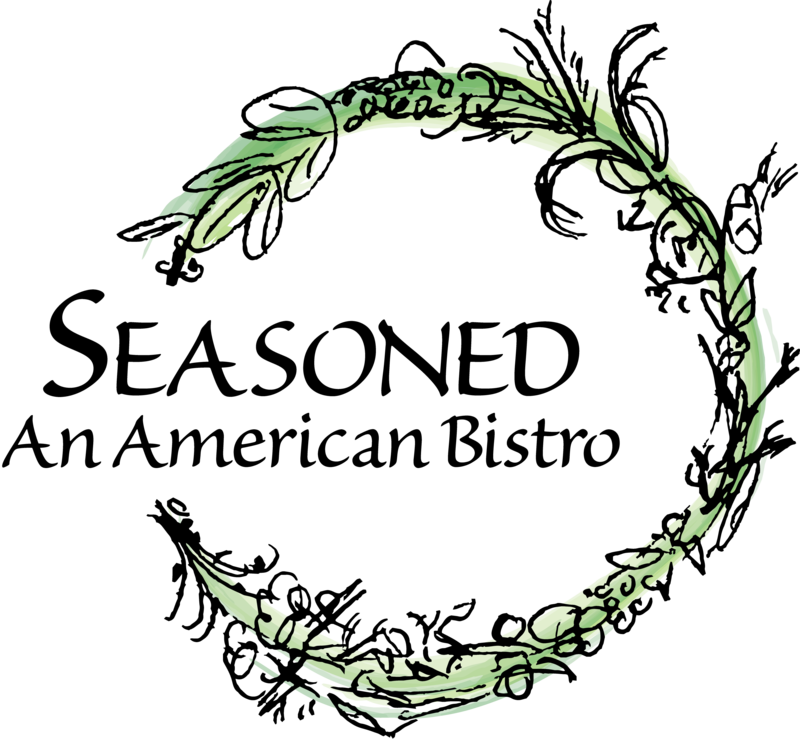 Number twenty-five is my own: ‘SEASONED ~ An American Bistro’ in Estes Park, Colorado. We returned to EP because we needed to be back in this beautiful valley, enjoying every day in the mountains, breathing fresh air and enjoying the unparalleled views. The Mission statement for our business is to ‘serve the community of Estes Park twelve months of the year, to treat every guest as special to us and our business, and to create a family working environment’. The daily operational philosophy at ‘SEASONED’ was created under three guiding principals: create an inviting and relaxed atmosphere; provide the best service possible; and, cook good food. ‘SEASONED’ describes a person that has considerable experience and has done well in their chosen field over time. The name also hearkens towards seasonality and food that is certainly well-seasoned… The Bistro is American in it’s food creations. American can be Caribbean, North American, Central American and South American. I borrow from all those regions. We offer a global tastes of wine, beer and spirits. Including myself, our staff has more than seventy-five years of experience in food, beverage and hospitality. Since that fateful first day in May of 1974 when I walked into Pleasant Valley Country Club in Sutton, Massachusetts I seem to have had a forty-three year career in universities, kitchens, dining rooms, country clubs, hotel, inns, corporate cafes, and private homes since 1974. Now, I’m returning to the kitchen to cook. Regardless of all the experience, I crave cooking with my soul. Everything we do at ‘SEASONED’ affects our guests. This is for them, especially the local residents of a small town in the Colorado Rockies called Estes Park.